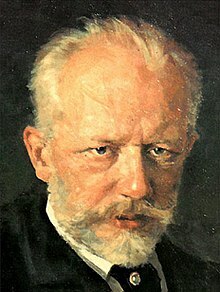 Pyotr Ilyich Tchaikovsky; Пётр Ильи́ч Чайко́вский (25 April/7 May 1840 – 25 October/6 November 1893 was a Russian composer of the late-Romantic period, some of whose works are among the most popular music in the classical repertoire. He was the first Russian composer whose music made a lasting impression internationally, bolstered by his appearances as a guest conductor in Europe and the United States. Tchaikovsky was honored in 1884 by Emperor Alexander III, and awarded a lifetime pension. Just as I was starting on my journey the idea came to me for a new symphony, this time with a program, but a program which will remain an enigma to all— let them guess it who can. It will be called "A Programmatic Symphony" (No. 6). During my trip, while composing in my mind, I frequently shed tears. When I got home I settled down to sketch it, and the work went so furiously that I had the first movement completely ready in less than four days and the remaining movements are already clearly outlined in my head. Half the third movement is already done. There will be much innovation of form in this symphony— and incidentally, the finale will not be a noisy allegro but, on the contrary, a long drawn-out adagio. You can't imagine what bliss I feel, being convinced that my time is not yet passed and I can still work. Perhaps, of course, I'm mistaken, but I don't think so. Diary entry for October 9, 1886, quoted in Nicolas Slonimsky, Lexicon of Musical Invective (1953), p. 73. Piotr Tchaikovsky at the Classical Music Pages. This page was last edited on 23 November 2018, at 23:19.